Australia is getting ready for Census night on Tuesday August 9, 2011. This year the Australian Bureau of Statistics has utilised Social Media channels to spread the word and get the community further engaged. – 29,000 volunteers helping distribute census forms. – The question on religion is optional. 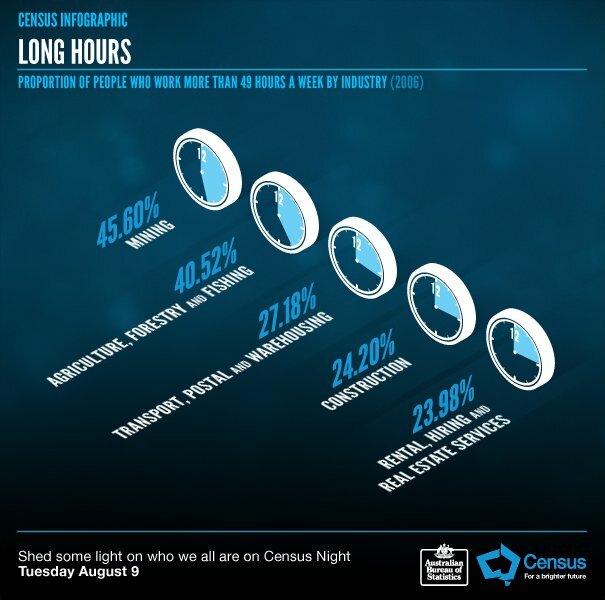 On the Census Facebook page i found this great infograph on Australian industries working more than 49 hours per week. Great to see the Aus Government embracing social media like this.